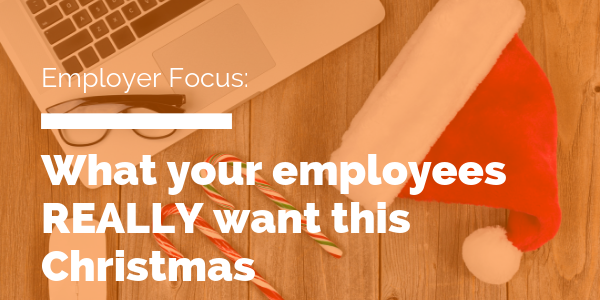 The staff party might be planned, employee gifts wrapped and the Christmas cards signed, but what do your employees really want? You might not be able to fulfil their dreams of dishing out bonus cheques or pay rises, but here are some ways to show appreciation to your employees, with a not-for-profit and social enterprise spin. Gift your staff one or two paid days off before Christmas to get life admin sorted, do their Christmas shopping, or teach their kids how to make mince pies. Realistically how much work are they going to get done in the few days before Christmas anyway? Recognition of the hard work people have done throughout the year is the cheapest gift, but not one that’s often handed out at the end of the year. “AlI I want is a thank you from my leader. After all my hard work and long hours this year, it’s all I want. 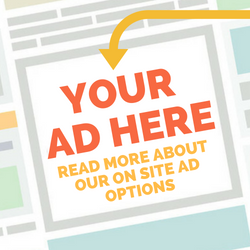 It’s free and it’s easy, and much more impactful than the generic box of chocolates he gives out.” – Mary. How can you ensure each of your employees finishes the work year knowing they and their work are appreciated? Handwritten card? Even an email would do the trick. What areas do your staff want to improve on at work, and at home? If you haven’t got a gift sorted, you might want to consider the gift of knowledge. Your gift this year could be a subscription or credit towards an online class (and maybe a day or two to learn this on work time). For inspiration on online training resources, check out my post on 20 ways to learn something new. Gifts are nice but choosing the right thing for teams can be a nightmare. While a frozen turkey or Christmas cake is a nice thought, it’s no good if you’re heading away for Christmas, a vegetarian, or have a dried fruit phobia. Some untagged dollars (much like what many not-for-profits would love to get from grant funding) might be more useful for your staff – it might help relieve some of the financial burden of Christmas, enable them to buy a treat for themselves, or at least something that’s useful. I think a simple Prezzy card (a prepaid Visa gift card) is a great option. No one needs more tat in their life – like the Secret Santa LED cactus sitting on my partner’s desk from 2016. If you must gift, think about supporting a local social enterprise who gives back. Another great alternative to the common office Secret Santa is re-gifting. I’ve done this a few times with my family and always end up with something interesting. The rule is you can’t buy anything new. Each person has to source one present from something they already own but no longer want, or that was destined for the charity shop. It can lead to some great presents. To date, some highlights I’ve received have included: vanilla honey, a glass whisky decanter, and an electric drill. Using the white elephant selection process or dice gift exchange (my fave!) helps people get gifts they actually want or need. Each not-for-profit and social enterprise has different needs and workloads around Christmas. If it’s your busiest period, ignore this one, but if your staff are winding down before the holidays, how about volunteering some time to support a fellow do-gooding organisation who might be under the pump during this period. Could you share some time to help others out? This can be anything from supporting your local food bank, distributing donated gifts to families in need, to wrapping gifts at your local Trade Aid shop. What can you do to add delight to your staff’s last week at work before the holiday? (Maybe not just in December, but as a monthly action throughout the year too). Could you tee up a kitten or puppy visit from an animal rescue organisation, organise an ice cream shout (don’t forget the hundreds and thousands! ), a high tea, hire a massage therapist for the day, or organise a surprise breakfast shout? Another plan is to make the week before Christmas all about coffee dates or drinks with workmates, whether it be internally, clients or relationships with other organisations. It will set your New Year off on a good note if everyone is feeling appreciative of their workplace and connected to those they interact with at work. Ho ho ho. Well, that’s a wrap on helping employers do-good this Christmas. Let us know in the comments if you have any other unique ideas for how you reward employees at Christmas time (or any time). Look forward to hearing them!